100% free of sulfates, parabens, alcohol, phosphates, sodium chloride and mineral oils. 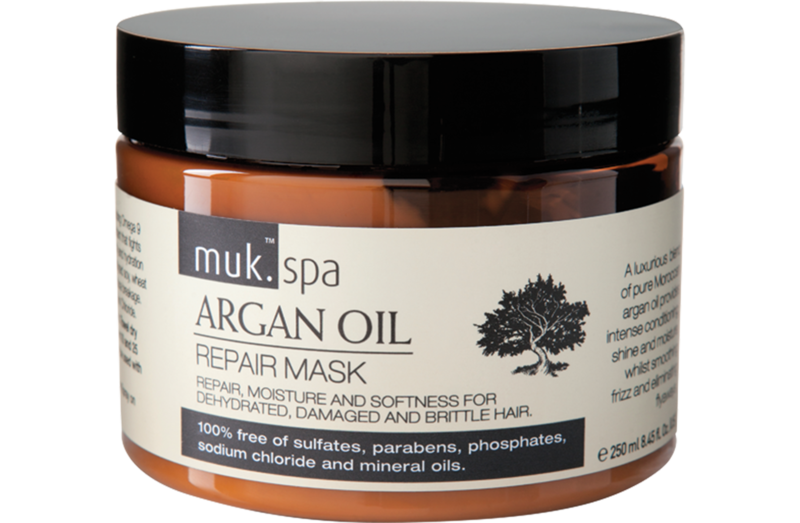 muk™ spa Argan Oil Treatment is rich in essential fatty acids including Omega 9 and Omega 6. Exceptionally high in Vitamin E, a powerful anti-oxidant that fights free radicals, this luxurious formulation maintains strength, elasticity and hydration levels. 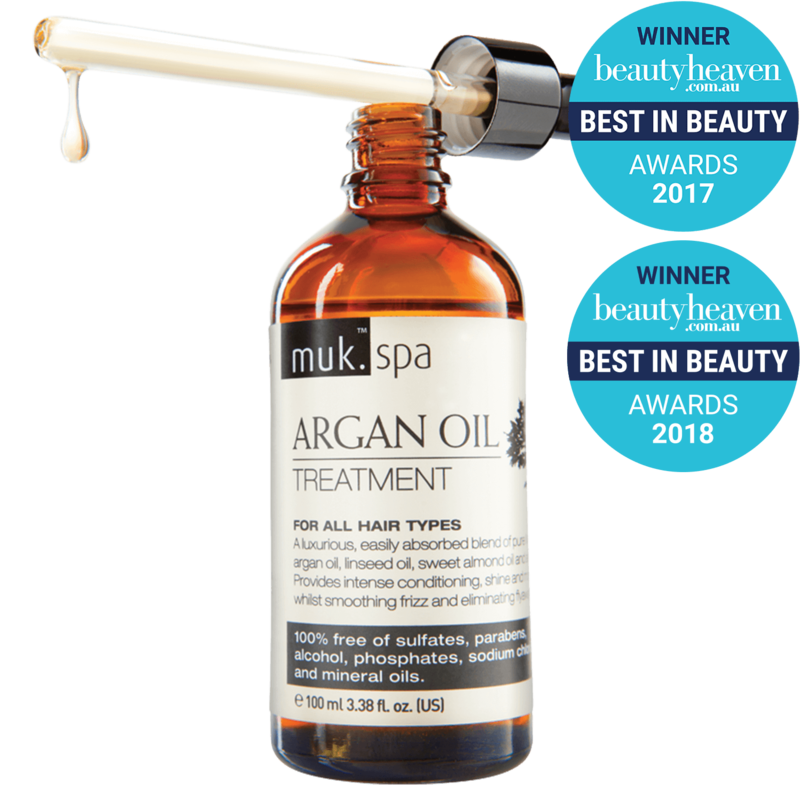 It is enriched with hydrolyzed keratin protein, along with additional high molecular weight proteins to increase tensile strength and reduce breakage. Reduces hair drying time by up to 50% making styling faster. Formulated to protect hair from blow-drying, hot irons, chlorine, salt water and sun exposure.